We’re always looking for good shortcuts in our hurry-up world, and that especially applies to coffee – the faster the better, right? That’s why take-out coffee shops are so popular. 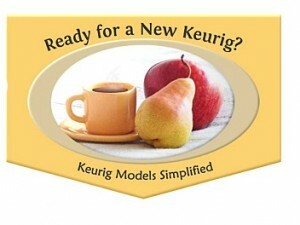 have popped up from major brands, the most prominent being Keurig. 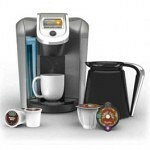 Many coffee drinkers love the ease of using a Keurig style coffee brewer. They’re simple to use, require minimal cleanup, and provide steaming hot coffee in a staggering array of flavors. But not everyone loves Keurigs and other automated single serve coffee makers, and look for other options. French presses are definitely worth looking at. 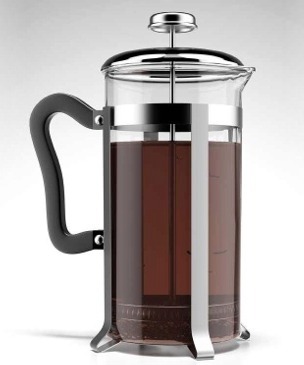 So, Why Consider a French Press Coffee Maker? A single cup French press allows you to totally customize your brew. You can choose the type of coffee, the water temperature, how bold to make it, and how much coffee is produced. In other words, you can be very precise, giving you a greater chance of producing exactly what you want in a cup of coffee. You’ll also save money on the coffee itself, and minimize waste, since you won’t need to purchase prepackaged cups or pods. If you’re dissatisfied with the coffee from Keurig type coffee makers, then you might try a French press. They are considered to be a more sophisticated way of making coffee, producing a bolder, richer and stronger flavor. 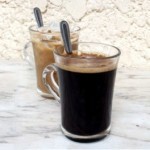 Many coffee connoisseurs consider French press coffee to be the best out there. Although a French press brewer can seem a little daunting at first, the good news is that once you get the hang of it, the time and effort are well worth the cup you’ll get. The method for producing coffee is entirely different than that of an automatic machine. 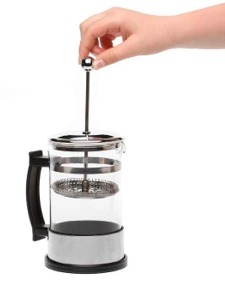 When you use a coffee press, you mix up ground coffee with boiling water inside of the device – usually a glass container (plastic travel mug containers and insulated stainless steel French presses are also available, as are light weight camping coffee presses). Then you wait. You’ll need to let it sit and brew for up to 4 minutes. The brewing time plays a vital role in how strong and flavorful your coffee will be. Unlike an automatic coffee maker that boils water and spits or drips it over the grounds to then be drained away as coffee through a filter, a coffee press allows the water and grounds to thoroughly mingle together during the waiting time. This infuses the water with the grounds, and while it sits, the flavors, oils and aromas are extracted from the coffee grounds. Once your preferred boldness is achieved, you’ll use a special mesh filter to push the coffee grounds to the bottom of the device (the “press” or plunger part of a coffee press), and pour off your fresh cup of grounds-free coffee. Because no paper filters are used, the oils go into the cup rather than being filtered out, greatly enhancing the flavor. This may seem like a lot of work when you’re half awake, but the results are well worth it, and many coffee purists won’t use any other type of coffee maker. 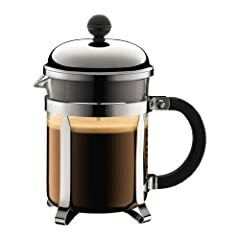 To make French press coffee, you’ll need a French press, freshly ground coffee (course, or “French press” grind), something to stir with, hot water and something to pour it from that isn’t likely to spill. For exacting results, a scale is helpful, as is a timer. Being able to completely customize your cup of coffee, not only the flavor but also the brewing time and water temperature, is one of the many advantages of using a French press coffee maker. By adding your favorite freshly ground beans, you can change the flavor depending on what you’re in the mood for, like you can with many single cup coffee makers. Once you get into the habit of using a plunger to make your coffee, the personalized French press method might produce just the cup of coffee you’re looking for. 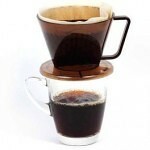 Some say that it’s one of the best ways to produce the perfect cup of coffee. There are a few disadvantages to using a French press. Some cups may contain grounds if you’re still mastering your plunging technique. With practice, however, this problem can be fixed. If you’re still finding grounds in your coffee after a couple of tries you might want to consider if it’s the coffee you’re using and not the French press. Ensuring that your ground coffee is the right consistency makes the difference. Most pre-ground coffees won’t suffice. In some cases, you may have to invest in a coffee grinder that can take whole beans and make the grounds coarser. Trial and error goes a long way, and as previously mentioned, may take some time. 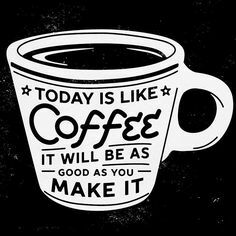 But once it all clicks, the perfect cup is waiting for you. If coffee from your automated single cup coffee maker leaves something to be desired, expand your horizons and try a French press. 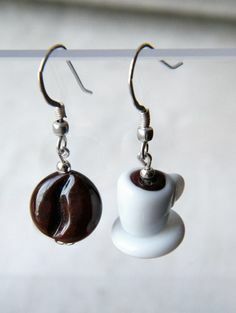 They are surprisingly inexpensive, and you’ll soon find the rhythm to producing a nicely flavored cup of coffee. 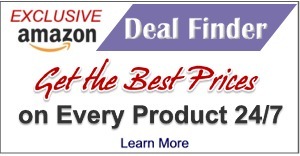 You may even discover that a French press is your best single serve coffee maker and make the switch permanent. You’ll want to pour all the coffee out of the French press and drink it while it’s fresh, rather than let it sit in the press and continue to brew. Some people also prefer to not drink the bottom ounce or so, as it may be a little murky. So, when choosing a personal French press, determine how much coffee constitutes one cup for you and choose based on ounces rather than by number of cups. A 4-cup coffee press (which may sound like a lot at first) may only produce 16 ounces of coffee, enough for a large travel mug. Here are two we recommend. The award-winning Bodum Chambord coffee presses are very popular. This model makes 17 ounces of coffee, enough for a large travel mug or two smaller cups. Use coarsely ground coffee, as finer grinds can clog the filter. The beaker is sturdy glass, the lid is chromed metal, and it is designed to keep the grounds out of the cup. 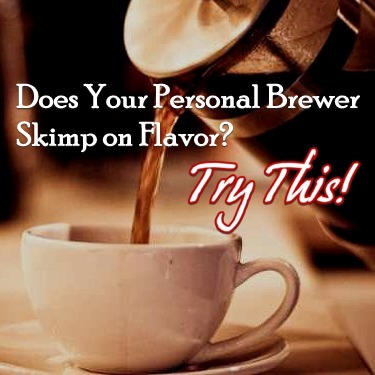 Users exclaim over the flavor of the coffee produced. This Grome makes 12 ounces of coffee or tea and is very popular with users. The beaker is glass surrounded by sturdy metal and has a secondary filter in the lid – no grounds in the cup. 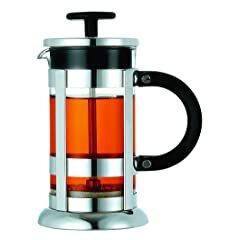 Users love how study this french press is and how easy it is to use, as well as the flavor of the coffee.